This company was recommended to us and after checking others arranged for the MD to make a home visit. 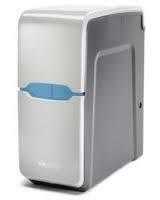 We have had water softeners before but the older type as manufactured for a major Builders/DIY multiple firm. 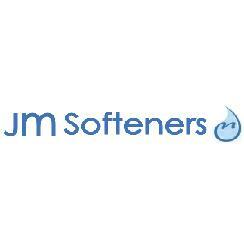 They had been successful and we wanted to fit a softener again. The water here in Sudbrooke is the hardest I have ever experienced. The hand basin pop up plug started collecting limescale almost immediately causing it to jam down, the glass kettle even after 1 x boiling was coated in the stuff! After a lot of talking we opted for a Kinetico Premier Compact. It was 3x what I had planned to spend but after weighing up all the advantages and disadvantages it seemed the best in the long term. ADVANTAGES - not electric so no power costs involved - regenerates according to water usage governed by a flow meter, therefore no wasteful regeneration when you are on holiday for example, or the risk of the salt reservoir running out and refilling your system with hard water while you are away - regeneration takes about 11 minutes and is very quiet - it fitted neatly inside a utility room cupboard with tidy pipework - large access cover to enable salt block to be slid in with no mess -cover is magnetic so it sits firmly in place - phenomenal savings in soap and detergents etc. (I use maybe 1/2 tspn shampoo & conditioner each for great results and we both think our hair remains softer longer) - I have slight psoriasis and it appears to be helping there too - savings as no more salt required for the dishwasher or washing machine - no clogging of electric kettle or the ends of taps where limescale collected (the pop up plug is clear and smooth acting too!) 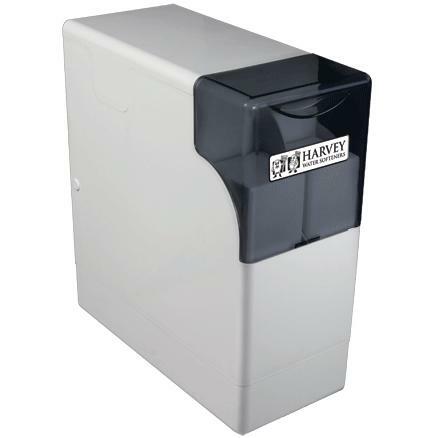 - cost saving on shower cleaner now used every 6 weeks instead of after each shower - salt comes in a compressed block that simply slide into a cavity with no mess - there is a view window so you can check salt block level - the salt can be delivered if required. It's a fallacy that you cannot drink softened water (Google it) - how do people manage in soft water areas? We had the whole system except the outside tap connected. Peculiarly, this means that we can use less tea in the pot and still get a good cuppa. Before the softener, I found a particular brand of tea too tannin and harsh, now it's great. My wife cleaned the glass kettle prior to installation in May 2018 and it has never had to be cleaned since! Glass and element is as clear as the day it was bought. Prior to installation my wife used a 50g scoop of washing powder in the washing machine, now she says it is just under 25g (the giant size professional box we bought will last nearly a year!). Overall we are very happy with the results. A good company and staff to deal with, answering my endless and to them probably daft questions. A couple of features below I have not marked as we have not yet put them to the test or had the unit sufficiently long to be able to tell. I would recommend this unit and company without reservation.